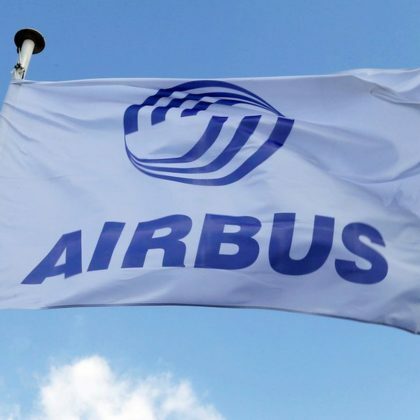 Airbus A321 operated by Air India may accommodate 182 passengers in two classes: business and economy. In the first three rows 12 seats of the business class are located. These seats have 2-2 configuration. The pitch of business class seats is 40 inches and the width is 21 inches. The only disadvantage of the seats of the 1st row is close location of the galley and lavatory in front. Economy class offers 170 seats that have 31-32 inches pitch and 17-18 inches width. These seats are divided into three sections. 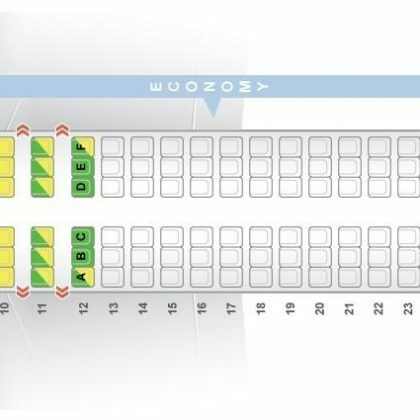 First section is located behind business class seats that are separated from each other with a bulkhead because of which the seats of the 4th row have restricted space for passengers’ legs. Among other disadvantages of these seats: lack of floor storage during take-off and landing and a little reduced width because the tray tables and video displays are located in the armrests making them immovable. Due to the exit row located behind the seats of the 8th row are less reclining. Behind the exit row second section of economy class seats is located. This section consists of 13 rows of seats: 12 of them have 3-3 configuration and the last row of the section has 2-2 configuration. Thanks to the exit row located in front passengers of the seats of the 9th row will feel comfortable because these seats offer extra legroom and are considered the best seats. However, built-in tables and video monitors reduce the width of these seats. Limited recline is the main disadvantage of the seats of the 21st row. The third section of economy class seats is located behind another exit row and consists of 11 rows that have 3-3 configuration. Passengers of the seats of the 22nd row will take advantage of extra legroom. At the same time the width of these seats is reduced a little because the tray tables and video monitors are built-in the armrests making them immovable. The noise from the galley and lavatories located behind is the only disadvantage of the seats 31C and 31D. Proximity of the galley and lavatories and limited recline make the seats of the last 32nd row bad seats.